Best for: Former philosophy students, current philosophy students, or anyone interested in looking at happiness from a more philosophical, less how-to perspective. In a nutshell: French philosopher Frederic Lenoir examines what many great thinkers have had to say about how we can be happy in life. Why I chose it: The cover art is pretty fabulous – it made me smile, which seemed like a good sign. Review: This is fairly concise survey of ancient, modern, western and eastern thought as it relates to happiness. Is the Stoic concept of being aware of how we will lose everything eventually and so not getting too attached what will help us be happy? Or is it a spiritual connection to the divine? Is it self-knowledge and self-improvement? Is it serving others? Does our disposition lead to some self-fulfilling prophesies – are optimists happier because they are optimists? Lenoir offers up support for all of these ideas, examining the regulars (Aristotle, Kant) while also bringing in some who might be lesser known even to those who study philosophy. I found that the book got me to thinking even more about what I value and the decisions I make each day about how I choose to live my life. It is not a guide to becoming happy, at least not directly; instead it is a meditation on what happiness looks like, whether it is even worth striving for, and what it takes to retain it. This would have gotten four stars except for one glaring, frustrating issue: save a brief discussion of his enjoyment of Indian sage Ma Anandamayi near the very end, Mr. Lenoir does not bring any women philosophers into the discussion. As someone who chose to take on this project, ostensibly with fairly limitless boundaries (he has published many books previously and so is a known entity), he could have taken the time to explore some of the lesser known philosophers who are women. The book isn’t about which thinkers influenced the philosophy of happiness so much as a discussion of the validity or import of their thought; as such I think there was a ton of space for him to bring in much more interesting individuals than the usual parade of dead white guys. Best for: Someone who wants to provoke (a bit of) deeper thinking on the ways we live our lives. In a nutshell: A hospice chaplain uses stories from families and individuals she has assisted to make sense of life. Why I Chose It: This was an impulse buy only in that it was on my list and I didn’t yet own it. I added this one when I saw it being mentioned in multiple different forums. But yesterday, as we were wandering a book store, I thought maybe it would be a somewhat profound choice to read as I celebrated my birthday. Review: I enjoy reading books like this, which involve health or medical information intertwined with personal stories. Ms. Egan is a hospice chaplain who, years earlier, experienced months of postpartum psychosis after a very challenging childbirth. She weaves that story throughout the book, providing a lens through which the reader can connect the sometimes-philosophical items to the realities we live in. The stories were all interesting but not overly sentimental or heart-wrenching. Everyone is dying, so that obviously sets a certain baseline, but I did not find myself tearing up at all, which I often find myself doing when reading books like this one. Some moments were funny, some were sweet, and some were sad. The nuggets of wisdom that come from these stories and the ways Ms. Egan connect them to her own life experiences are relatable. Ideas about how to be kinder to yourself and others, the things we put off, the ways we live based on other people’s opinions, all were within the realm of my reality. I underlined quite a few passages that I know I’ll go back to. As a final aside, I am not a religious person, so I appreciated that while there was definitely talk of religion, the stories rarely involved discussion of God or religion, but when they did, they certainly weren’t off-putting. Alright, back to the non-fiction books I love. Michael Sandel is a modern philosopher who is interested in issues of justice. In fact, his book “Justice” is a fantastic read for people who are interested in philosophy but cringe at the idea of popping open Hume or Kant on a cold winter’s day. 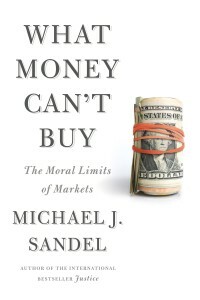 This book looks at whether there are any moral reasons to not allow the market to ‘take care of things.’ Some of his areas of focus are likely ones that you have considered previously (possibly over a beer with friends). Should people be able to sell their kidneys? Did that student really get into Harvard because of his talent, or because his mom could buy the entire campus twice over? Is that fair? Does it matter if it is or isn’t? 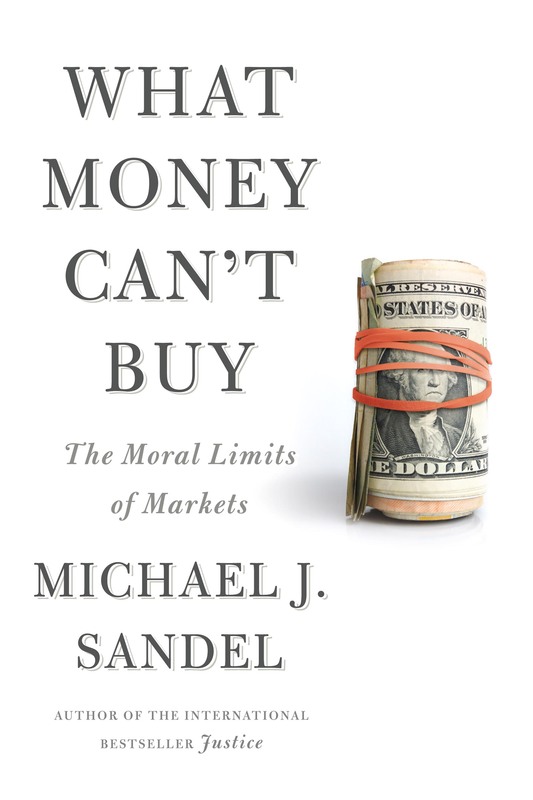 Sandel argues from a premise that some might not accept: that “making markets more efficient is no virtue in itself.” Instead, he’s interested in why people might cringe at the commodification of certain components of our lives. Why, if markets are so great and supposedly will sort out the distribution of goods and services in the most efficient way possible, do some markets make us so uncomfortable? Each example in the book addresses one of two arguments – the argument from fairness and the argument from corruption. In the first case, we might consider where a certain market is fair if the person participating may not REALLY have much of a choice. Again, think about the kidney example. Sure we all own our bodies, but the concern with allowing a market in kidneys is that only the poor would end up selling them, essentially turning them into spare parts for wealthy people, and leaving people who cannot afford kidneys at the whim of donors. The second argument looks at whether the nature of certain things might be corrupted simply by market involvement. Advertising in schools is a prime example of that. The book is broken down into five parts – an introduction to the issues he plans to address (and a background on markets and examples of market transactions that might raise an eyebrow), a section on incentives (and how they don’t always work the way you’d think), markets replacing moral discussion, the insurance market (which features my favorite portion of the book, where he examines third-party life insurance purchasing), and the right to name different public and private spaces (think Citibank Field in NYC). The concepts are not difficult to grasp and are well-written and interesting. While I do have a philosophy background, I want to emphasize that one is not necessary AT ALL to enjoy this book. If you’re interested in markets and a discussion about why they might not always be the best way to distribute goods, this is a really great read for you. In fact, I suggest getting your favorite discussion partner (perhaps someone who doesn’t always agree with you) to read the book at the same time so you can have a lively chat about it all. Peter Singer is an interesting (and at times controversial) philosopher. He writes on a lot of issues that are of interest to me – you can read more about his writing and work here. Some utterly despise his view of the world – he's been removed from conferences due to protests, often focusing on his opinions about the rights of parents in making decisions about the lives of their terminally ill infants. About a month ago I finished his book The Life You Can Save, which my mother kindly purchased for me during a visit last fall. He writes about extreme poverty from a philosopher's perspective but with a practical slant. He spends time talking about the problems of poverty in the world, then explores the arguments people use to justify not contributing more to help others. Those parts could stand alone as interesting reads. He then goes into the problems some charities have, in terms of their effectiveness and percentage of money used to help people as compared to other similar organizations. At the end, there is a practical call to action: give. Give more than you have. And give to those in the most extreme poverty. The book struck a chord with me, to the point where I've signed the the pledge. I'm not going to put my salary details here, but what I did was look at what percentage of $105,000 my salary is, and then took that percentage of 5%. So if I made 21,000, I would give 1% of my salary. Each month I'll set aside that amount and give it to one of the organizations ranked top by GiveWell. I'm excited about this. It's also helping to motivate me to make some more intelligent decisions with my own money so I can be in a better position to give more, save more, and still live the life I want for myself. And I've posted about it tonight because I'm hopeful that perhaps a couple of you will check out the book, check out the the website, and maybe, if your life situation allows it right now, take the pledge. Peter Singer is an interesting person. His goal as a philosopher is, as I see it, to come up with guidelines that allow for acting ethically while remaining consistent. He artfully exposes the inconsistencies in much of what we in the west consider our ethical codes. The book itself, Rethinking Life and Death, is a quick read, and one I recommend. Singer does have a perspective that has been challenged often; one example is that he has been accused of promoting the killing of the disabled. Those charges show that those who raise them have not read his work, but it is true that much of what he proposes may not be worth the trade off. For me, he raises the issue of whether it is more important to be consistent or to do what is right. He does not see the two as conflicting; I am not so sure. At the end of his book he discusses the ‘old’ rules and proposes instead a new rule for each. I think this one is possibly most likely to draw the ire of many who have not read his arguments. It mainly serves to address the concerns surrounding withdrawal of medical care from those who never will be conscious. This one, for me, was the most obviously correct. I know that suicide of a young, troubled person is something I want to prevent, but I do not agree that those who are terminally ill or in severe and unending pain should be required to stay alive if that is not their choice. I clearly agree with this suggestion as well. The idea of having kids to fulfill some religious purpose turns my stomach a bit (Duggars, I’m looking at you). This one also is likely to earn an audible guffaw from most people. As someone who has been a vegetarian a few times in my life, I have struggled with this for years. I’m still not sure how to act when it comes to using animals to receive pleasure in the form of cute boots or a tasty burger. I have requested his Animal Liberation book from the library to learn more. If any of this strikes you as interesting, I suggest picking up a copy of the book at the library. If I ever jump into the world of online dating, I will be checking the box “athiest.” Not even the “spiritual but not religious” box describes me, because I think that generally refers to those who think there is some sort of god out there but they do not like organized religion. I neither think religion is a net positive in the world nor do I believe that there is a god who man has yet to accurately describe. One of the most interesting books I’ve read lately is Christopher Hitchens’ God is Not Great: How Religion Poisons Everything. You can read professional reviews of it online; my purpose here is not to necessarily break it down, or get into every point he raises. Instead it’s more of a jumping off point for discussing my view of reality, a view that has been evolving and solidifying over the the last twenty years of my life. While this post certainly will not begin to cover what I believe are all of the logical reasons for not believing in god (nor will I get into, at this time, why throwing the word “faith” out there does not provide any sort of support for god), I wanted to spend some time discussing what has led me to not believe in any sort of diety. I think it is important to get down onto paper (or LCD screens, if you prefer) these thoughts, because I have found over the past few years that when it comes to public policy – which is where my real interests in life lie – religion, and the type of thinking that it often promotes, is the root of so many problems in society. My parents are not particularly religious – or at least are not the type of religious parents who would force their beliefs on their children. However, when I was in late middle school / early high school I became involved in a youth group at the local church, which in retrospect makes me quite uncomfortable. I do not believe that adolescents are stupid, but I also think that the idea of religion is a bit too complex for a thirteen-year-old. Honestly, I think it is too complex for most adults, especially when you think about the mental gymnastics one needs to rationalize and reconcile what is written in religious texts and promoted by religious leaders. Additionally, the ability of a teen to fully grasp the nuances and ask critical questions with judgemental peers around is underdeveloped, to say the least. Who is going to question the idea of the holy trinity with the cute girl from biology staring at him? I spent two years involved in ‘the church;’ however, thanks to some careful parenting I realized that some of the church’s stances – such as the idea that evolution is a hoax – did not have much relation to reality. I still considered myself a Christian, although I clearly did not understand exactly the implications and obligations such a statement conveyed. I removed myself from the youth group, but during my third year in college, I attended a Bible study group. I figured, sure, why not, and that became a turning point for me. Even when I was attending that unhealthy youth group, I still believed that while there was a god, and probably a heaven, Christians certainly weren’t the only ones going there. That struck my fifteen-year-old mind as obvious. Clearly if there was a god, humans couldn’t know all about him or her anyway, so the arrogance involved in most religions was certainly on my radar. At the second Bible study meeting I asked a question about other religions and whether the believers in those went to heaven too. The leader of the group sort of nodded, and instead of answering the question, said it was a good one, and then ‘reminded me’ that Satan likes to plant seeds of doubt in our minds. Say WHAT? First off, the idea of a devil has always sturck me as absurd. Grown adults thinking there’s this horned man who gets all up in our heads to get us to do bad things seems more like the rationalizations of the child who cannot begin to understand the world, or who would rather not be held accountable for her actions. “It wasn’t me, it was SATAN!” Disturbing. Second, the implication from her comment was that the religious beliefs of billions of people existed because of the devil, and thus all of those folks were going to hell. That was enough for me; I was done. At least, I was done with Bible study. I was not yet ready to be done with religion. Monotheism is the common western religious category, but I started to wonder about other ideas, so I read about a variety of them, from paganism to buddhism. None of the religions really made any logical sense. There seemed to be so much effort spent explaining away certain parts of different ‘holy texts’ to make them fit what we know now. Evolution exists? Okay then – Genesis is not really talking about six 24-hour days; the days are metaphorical. But everything else is totally true! In the past couple of years, I’ve come to the realization that I do not believe in any sort of god. I am an atheist, although I find it so strange that I need to declare my non-belief in someone for whom there is no proof of existence. I do not believe in unicorns, but I do not see why it should be assumed that I do, or why I should have to make it clear that I do not. I recognize that the unicorn / god analogy is putting it indelicately, and that I need to be careful to not offend my religious friends, lest they think I see them as less intelligent than me, or that I condescend to them when discussing these issues. That is not my goal, nor do I think my religious friends are stupid. People disagree about many things, from how to reduce poverty to who should be given civil rights. That is why I find philosophy so fascinating. I have had many interesting conversations with religious folks about what is the right thing to do in a particular situation; however I do admit that I am not open to reasoning that starts with “in the Bible” or “in the Koran” if the textual quotes that follow are meant to serve as evidence supporting a particular position. My own exploration of the world, the inconsistencies in the tenets of religions, what they practice, and how members present themselves, coupled with much of what I have been studying in the past year, have helped me to understand and support my beliefs. In answer to the question posed in the title, I am still not sure that I am in agreement with Hitchens’ central thesis, because to accept it would be to accept that religion has poisoned all of my friends who choose to believe in some version of god. I do not think that is the case – some of the coolest, most interesting, kind people I know are religious. However, I do think so much of what Hitchens says – the points he makes, the evidence he provides, the inconsistencies he reveals – is valid, and should be examined by anyone who has made the choice to believe in god. My first exam is in a week. I have spent a lot of time studying over the past six weeks and I feel prepared for the most part; I’m reviewing flash cards at this point to drive the main points home. I’ve also picked up a couple books on related topics that are not on the suggested readings list for my classes, and am trying to read bits and pieces. Let’s be clear: there is always more I could do. There is always more. I could have skipped the two birthday parties I went to this weekend and studied instead. But I cannot spend ten hours a day studying, or even eight. I’m not reading new material, which I could do all day every day; I am reviewing and trying to make sure I understand things I’ve already read and discussed and in many cases written papers on. In the US we would have, what two weeks MAX after the end of term and before finals? I have not had class since March 18. This is brutal. I have adjusted to a this new system to a degree, but at the same time I am just holding out until 1PM GMT+1 on June 14, when the exam portion will all be over. It will be so exciting. 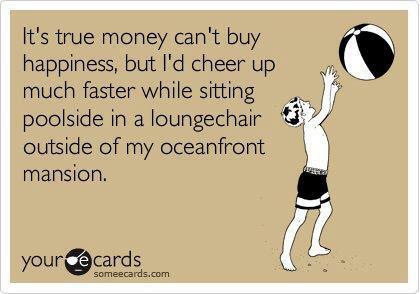 And a huge relief. I’m also working on my thesis, hoping to have a fairly strong draft before my sister comes to visit a couple of days after my last exam. I spent some time on that today, working out of a small library at the British Museum, which added something different to the experience. But I have my limits, and so this afternoon I came home and spent two hours cleaning. Vacuuming, dusting, polishing, scrubbing. I cleaned off the runner boards along the bottom of the walls. I cleaned a windowsill that I don’t even see. And I’m coughing like mad. But I have to say it’s pretty nice to be in such a clean apartment considering that for the next two weeks I’ll be spending even more time here. One essay left. Term is over! This week has been crazy. I’ve finished up two 2,000-word essays, organized my study and thesis-writing schedule, and managed to find time to attend two end-of-term parties AND see Kathleen when she surprisingly came through town on her way to a conference. Such an awesome treat! But now I am sick. And that’s actually okay – yeah, I still have a 1,500-word essay to work on, and there is a big party tomorrow night I hope to attend, but I am not in the middle of training for a race, I do not have a pile of readings to get through, and I’m not about to board a plane or train to travel somewhere. I can sit, watch movies on my computer, drink a lot of juice and just get better without stressing out. I am lucky. I also got my exam schedule, and it’s not horrible – two in one week, one the next – and is neither right at the beginning none right at the end of the exam period. Also, the Huskies won last night with less than two seconds left. GO DAWGS!